It only takes 4 ingredients to make this tasty Slow Cooker Pork Tenderloin with Salsa and there are at least 4 ways to use the carnitas meat when it’s done! If ever there was a secret ingredient that can magically transform a dish into something special, with minimal calories or effort, it would have to be salsa. I have several jars in the pantry at this very moment: mild chunky salsa for dipping and to top anything Tex-Mex. Peach salsa for Burrito Pie Casserole and Turkey Meatloaf Muffins. Mango and pineapple salsas are stashed away for my next experiment…if I can ever get off of my love of peach salsa. Sigh. My latest obsession is combining salsa and pork tenderloin in the crockpot and I break a few rules in the process. 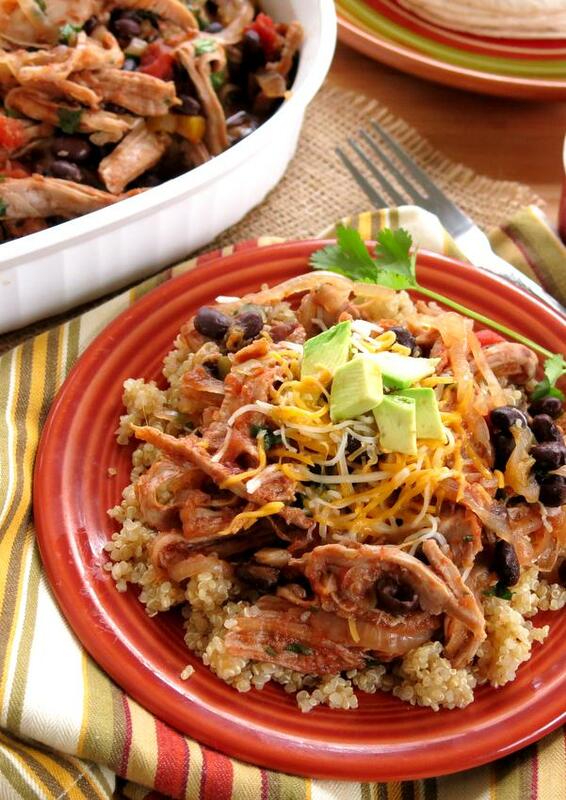 Pork tenderloin is not the first choice for your crock pot because it’s low in fat. But, that is exactly why I love it. (You can, of course, use any cut of pork.) 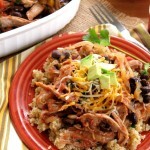 We also use pork tenderloin to make Slow Cooker Pulled Pork Tenderloin in Blackberry BBQ Sauce. It works…great! Next, conventional wisdom says you must brown the meat before it goes into a slow cooker for maximum flavor. I tried it both ways on this recipe and I can honestly say I liked it better when I did not brown it first. By the way, have you seen the slow cookers that switch over to warm when it’s done, or better yet, allows you to put a probe in the meat? Those types of crock pots would be perfect so that the pork tenderloin does not overcook! Finally, it doesn’t take a lot of fancy ingredients. Salsa is the workhorse in this recipe. Salsa and pork tenderloin…and lots of onion! 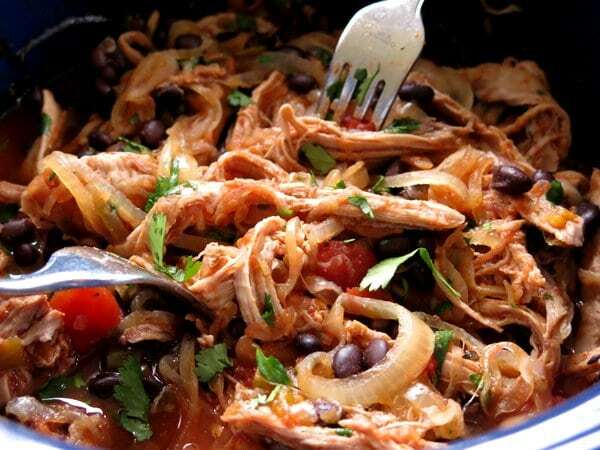 Once you’re hooked on the power of salsa, you’ll want to try it on chicken too…check out 3 Ingredient Salsa Chicken which is also made in the slow cooker. 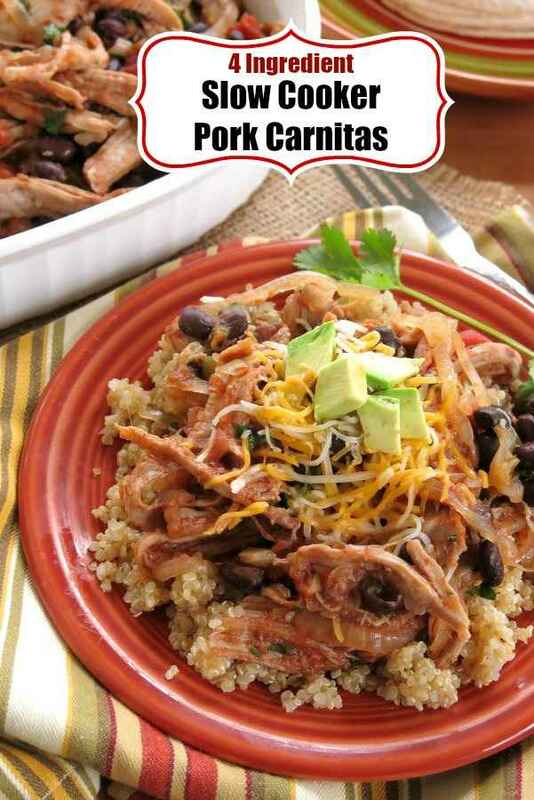 The carnitas-style meat can be used in so many ways…I count at least 4! Enjoy it on a sandwich bun. 3. 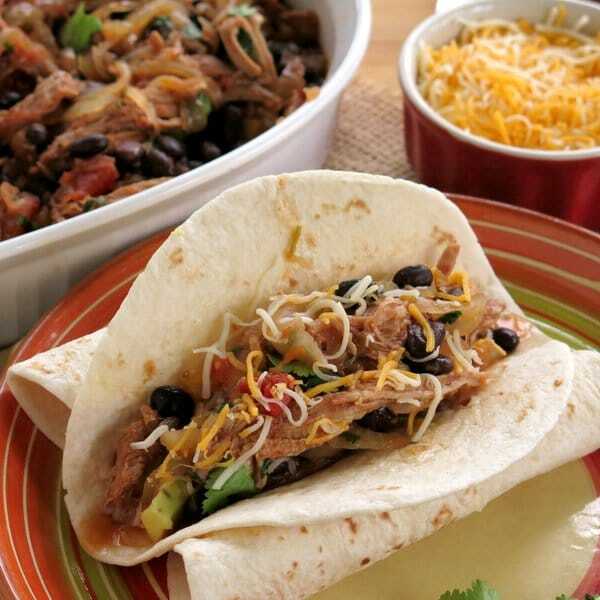 Wrap it up Tex-Mex style and add your favorite toppings, such as shredded cheese and guacamole. 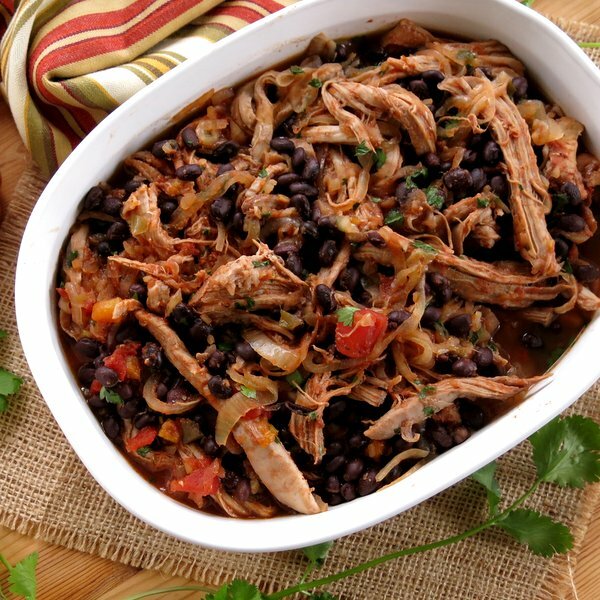 It only takes 4 ingredients to make this tasty Slow Cooker Pork Tenderloin with Salsa and there are at least 4 ways to use the carnitas meat when it's done! Place onion rings in the bottom of a slow cooker. Place pork tenderloin on top of onion rings. Pour salsa over pork tenderloin. Using two forks, pull pork apart. Stir to mix pork with onions. I totally agree with you on the magical, transformative properties of salsa! I am usually fully stocked, with at least a couple of different fave brands. I really appreciated your thorough walk through the “rules” … and how to break them (and I love that this is even better when you don’t spend the time to brown the pork first – yay!). 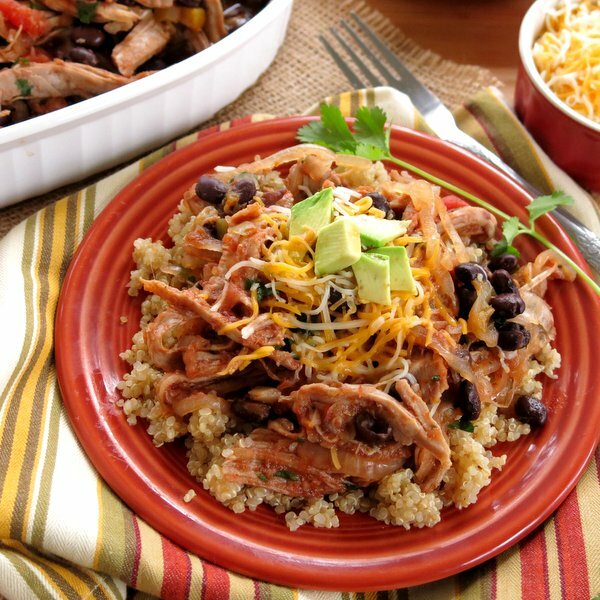 This looks so terrific, and I love the idea of serving it over uber-nutritious quinoa! I add peach or mango salsa to everything. This looks wonderful! I love peaches with pork! This makes me so excited for Summer! What a great idea! This is amazing, I love the peach salsa with it! This looks so good! And so versatile! Can’t wait to try! We used plain salsa and really enjoyed this. Do you have direction for an Instant Pot?